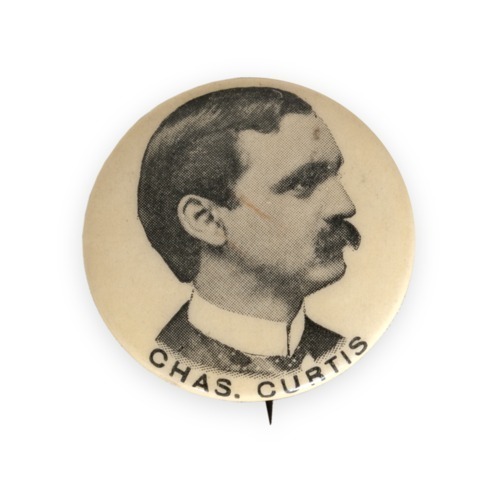 Small political campaign button featuring Charles Curtis. Born in Topeka, Kansas, Curtis served in the United States Congress and was later elected Vice President. He was the first individual of American Indian ancestry to reach that high office. This button depicts a very young Curtis and was probably used in his early campaigns for the Kansas seat in the U.S. House of Representatives.